ExporTech is a comprehensive three session, eight hour per session national training program with the purpose of helping companies that have exportable products to develop a strategic, executable export marketing plan. More info and registration details can be found here. The classes are taught by experts in the areas of compliance, finance, legal, logistics, marketing and market research, government assistance and business plan development. 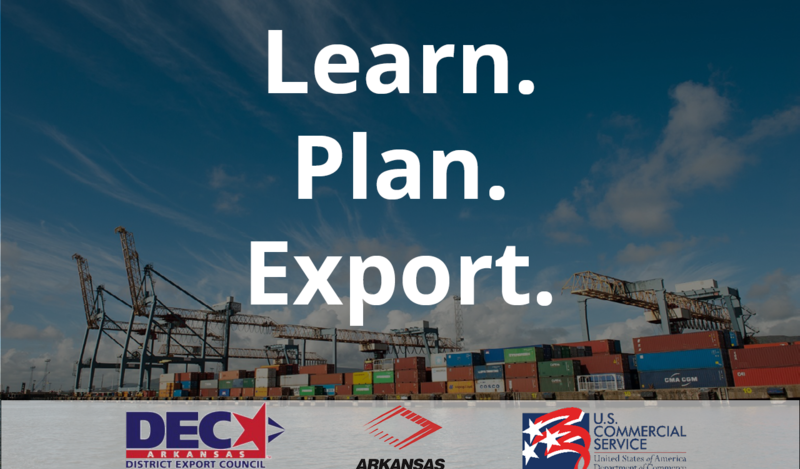 ExporTech is offered through the Manufacturing Solutions division of the Arkansas Economic Development Commission. Spots are limited, only four to eight companies will be selected for this training. Access to the US Department of Commerce Gold Key Access business matching service.